Not so long ago, Adelaide was considered to be a place that visitors to the Great Ocean Road would simply stop in before heading to one of Australia’s better-known cities. Recently though, Adelaide and its surrounding regions has been placed firmly on the tourist map for Australians and international guests alike. From unique wildlife experiences to award-winning food & wine, incredible scenery and cultural festivals aplenty, the humble state of South Australia can hold its own against destinations such as Melbourne or Sydney. Just a hop, skip and a jump away from the state capital of Adelaide lies Kangaroo Island which, as the name might suggest, is bursting with indigenous fauna. Often referred to as a zoo without fences, the island has been protected from many of the introduced species that are found on the mainland, which means it’s one of the most pure and wildly Australian areas in the country. Kangaroo Island is home to an abundance of native wildlife, including kangaroos, koalas, wallabies, possums, echidnas and dolphins. The Kangaroos that give the island its name are unique to the area and aren’t found anywhere else in the world. They are smaller, darker and have slightly longer fur than most kangaroos, but they are still just as Australian and it’s always memorable to see them bounding across the horizon. The rugged coastline is a spectacle worth its own mention, but along the island’s wild edges incredible gems are waiting to be discovered, such as Seal Bay where visitors can be guided along the beach among colonies of Australian Sea Lions and New Zealand Fur Seals basking, swimming and playing. Large animals aside, there are an astonishing number of birds on the island, as well as Ligurian bees and 45 species of plants that aren’t found anywhere else on earth. The dramatic scenery on Kangaroo Island will inspire even the most amateur photographer to get behind the lens; Remarkable Rocks look like they must be carved by hand rather than by thousands of years of salty waves beating against the granite boulders and Admiral’s arch offers the perfect frame for a spectacular Australian beach sunset. For those looking for a little more thrill in their holiday, Kelly Hill caves offers an adventure caving experience among the sparkling dry limestone stalagmites and stalactites. After a day of wildlife watching it’s easy to unwind and relax with incredible food (try marron or yabbies for an authentically local meal), world class South Australian wine and breathtaking views as far as the eye can see. 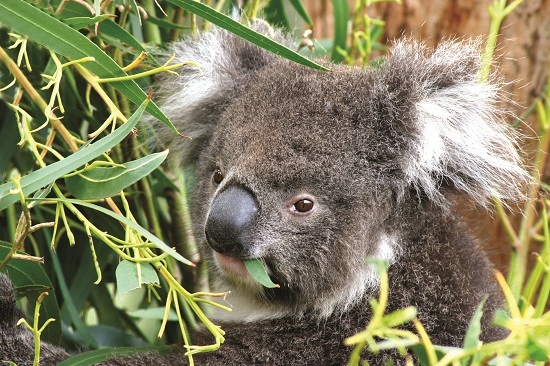 With Kangaroo Island becoming increasingly popular there are more accommodation options than ever before, with something to suit all tastes from luxury lodges to campsites where the island’s wildlife will be part of the scenery. Adelaide Airport offers flights with REX air to Kingscote airport, which takes just 30 minutes and lands 14km from Kangaroo Island’s main town. Alternatively, it’s a 2 hour drive from Adelaide to Cape Jervis where a luxurious ferry will transport you and your car (or coach) over to Penneshaw in just 45 minutes. If you're heading to Australia, take a look at our December Deal where you can get £200 towards your accommodation in Australia when you book your flight through us!